Laser facial rejuvenation is a unique and non-invasive treatment for smooth, younger looking skin – suited for all skin types. At Laser + Holistic Aesthetics our treatment stimulates laser genesis, where the laser energy boosts your natural healing processes. This improves collagen growth, for youthful skin tone and texture. How does Laser Facial Rejuvenation compare to surgical facelifts? A traditional surgical facelift involves a series of cuts to the face and head – which usually means you will need to stay overnight in hospital. The recovery process can be quite painful during the first week, where you will need to take it easy. After about two weeks the swelling and bruising will have subsided, and the complete recovery will usually happen within a month. To compare – Laser Facial Rejuvenation requires no anaesthetic, is a walk-in, walk-out treatment and has minimal side effects like sun sensitivity. Laser Facial Rejuvenation is a great option for those who want youthful looking skin without the painful recovery and downtime of a conventional facelift. 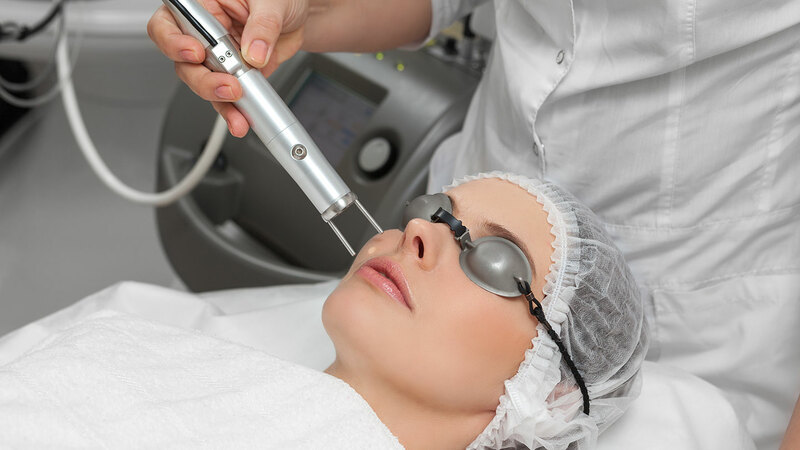 What happens in a Laser Facial Rejuvenation appointment? One of our team members will clean your skin with ozone water to remove any makeup and excess sebum. We will protect your eyebrows and eyes before using the Acroma Q-switched Laser to treat the whole face. During the treatment you will experience warmth and slight zaps or a prickly sensation. After the treatment you may experience some slight redness which will settle down in about 24 hours. You will notice tighter, more hydrated and radiant skin right after the treatment, with full benefits usually appearing after 8-10 days. Who should choose Laser Facial Rejuvenation Treatments? Anyone who wants to tighten and smooth their skin, particularly around the mouth, cheeks and nose without the painful recovery and hassle of conventional surgery.